Started in 2005 with takeover of a small dairy unit, today C. P. Milk and Food Products has become the largest dairy product manufacturer in Eastern UP. It is the second biggest liquid milk supplier in city of Lucknow, just behind Amul. The company’s milk processing plant is located in Lucknow, Uttar Pradesh. The products are sold under the brand name ‘Gyan’. C. P. Milk and Food Products was established by Mr. Chandra Prakash Agarwal and is being run by his grandsons Mr. Jai Agarwal and Mr. Anuj Agarwal since the inception of the company. “We were looking for a new business and came to know of a dairy unit in distress sale. So we bought out that small unit along with the brand name. 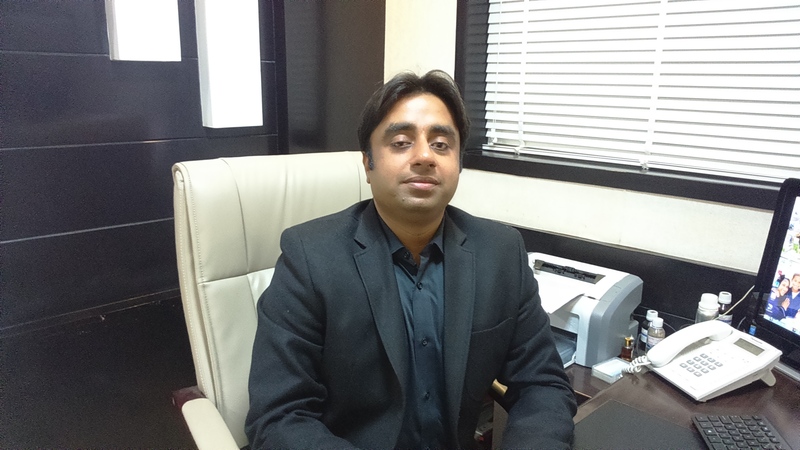 We refurbished it and this is how we got into the business,” says Mr. Jai Agarwal, M.D. In the span of nine years the company has grown from a turnover of Rs. 17 crores in 2007-08 to Rs. 300 crores in 2013-14. In addition it has added almost 12 new products in these years. Key to success is being in the right place at the right time, “We started our manufacturing in this area when no one wanted to establish business in eastern UP due to scarcity of milk. We did it and over a period of 2 – 3 years we got the farmers to take up dairy farming by setting up a cooperative system. Since we were the only buyers we got a good response,” shares Mr. Agarwal, “We also launched our range of products here when only Amul was available and was in short supply. We filled up the vacuum and got a good sale also.” Looking at the success of C. P. Milk and Food Products many competitors came but no one could compete as the company has a good cooperative setup that gives the best quality milk and thus the best milk based products are produced and supplied in the market. Milk is collected from the cooperative system with 45000 registered farmers as milk producers spread across six districts. The company has a team of six veterinary doctors and 21 para-vets to provide dairy farmers with all medical and extension facilities. “We provide vaccination, AI services, medications and cattle feed specially made for our company through this network,” he says. Setting up the network with 1000+ villages in UP for milk procurement was done over a period of time. The company transformed low milk productivity belt into high milk producing one. “We have developed a team of almost 300 skilled workers just for expanding our village base headed by high level professionals with rich experience from NDDB. We have also made most of our investments in this activity rather than capacity expansion,” says Mr. Agarwal. He recollects, “We started with our home district Farrukhabad. There we know all the villages and almost everyone knows our family. It was quite easy to establish the confidence and identify favorable locations. After our success in Farrukhabad, first the villages were identified, then routes were planned, followed by installing the milk collection units and convincing the villagers to take up dairy farming.” New villages are still added in the network following the same procedure. Minimum 15-20 farmers supplying milk from a village are needed. Less than 15 is not acceptable and more than 120 becomes difficult for one service provider. “So in that case we tap two locations in the same village. Currently we have an average of 39 farmers/village,” he informs. Milk cans are provided to all villages as per requirement. The village service provider collects the milk in these cans and keeps the cans outside his village. The company vehicles pick these cans and bring it to milk chilling centers. Milk is chilled and transported to company’s factory in insulated tankers. Almost 10 villages are covered by one vehicle twice daily, morning and evening, as milk does not have a shelf life and so the exercise is done daily. Farmers are paid through a model developed at village level. “We have nominated VSP in each village and we call them as VSP – Village Resource Person, with the consent of villagers in whose account we are directly transferring the milk value through RTGS/ NEFT transaction. We have been paying after every 5/8 days cycle,” he adds. C.P. Milk & Food Products has provided an opportunity to the villagers to stay back with their family in village and continue dairy farming instead of moving to urban India, far from the roots. “We are very positive about it! Farmers are getting better realization all through the year! Farmers are working hard to come out of their debts and hence a positive sign. Further farmers are demanding for animal loan and we have been facilitating good animal breed induction through nationalized bank – SBI,” he shares. Daily milk collection is about 5.5 LLPD/day. 2.2 LLPD through company’s own VLC network – 1100 villages and the rest from bulk procurement through franchisees. Milk processing plant runs almost at full capacity. “We can process up to 5.75 LLPD. Further we are in the process of doubling our capacity. Hopefully from next season we will be processing 10 LLPD,” shares Mr. Agarwal. 170 people work at the unit. Products produced are liquid milk-FCM/TM/SM, ghee, dairy whitener, curd-sweet/plain, buttermilk, butter-100G/500G/18G, further in process of paneer and ice cream. All products are BIS & AgMark certified, ISO 22000:2005, and FSSAI. These are sold at Uttar Pradesh, North East, Hyderabad, Mumbai, Madhya Pradesh, and Delhi. Brand Gyan is receiving positive and encouraging response from the end users. Products’ freshness, quality and less price are very competitive against all other brands in native Lucknow and adjacent cities. “It’s beyond expectation that people are willing to accept and do experiment with the global brand Ámul!” signs off Mr. Agarwal.